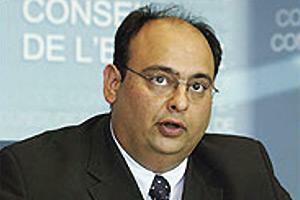 Ian Micallef, the former Nationalist Mayor of Gzira, has dropped out of the forthcoming elections for local councils. He is the third major casualty for the PN in a week, following a similar decision by the Mayors of Zebbug and San Lawrenz in Gozo. All informed the PN that they would not be candidates because of pending court procedures. Dr Micallef in his letter to Prime Minister and PN leader Lawrence Gonzi, noted that he has served in Gzira council for 17 years and was also active in overseas fora. He described his decision as a suspension until the legal proceedings are over. Meanwhile, the PN said it would present 184 candidates for the elections of whom 24% would be women and 30% are aged under 35. It said that over the past years, most councils had worked to improve the people's quality of life by wisely using funds made available to them by the government and the European Union. In four years, the government gave €159 million to the councils. The government also gave the councils €15.7 under 51 schemes for various projects.